Located right at the line of West Omaha and Downtown, Kryger Glass in Omaha, NE has been serving the Heartland since 1978. 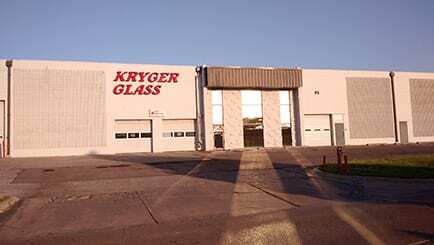 It’s just one of two Kryger locations that serve the area’s auto, residential and commercial glass needs. Our high-quality auto glass products are installed by certified technicians who never compromise correct techniques for time. Whether you need to repair a crack, replace your windshields, or even your power and manual window system -- Kryger gets the job done right. You can even come to us for your side view mirror or sunroof repair. But because we are your go-to glass experts, we also specialize in residential glass replacement. The Nebraska winters get frosty -- and a cracked or broken storm window can make the difference between a winter spent in comfort or cold. If your needs run on the side of home decor, we can help with a custom mirror or glass table top. Businesses can also jump on the Kryger bandwagon. We have the skills and knowledge to replace your damaged or aging storefront windows and doors with ease. Whether your live in Midtown, South Omaha or anywhere within a 50-mile radius, our mobile auto glass service will come to you. That means you can be as far south as Nebraska City or all the way up in Oakland. 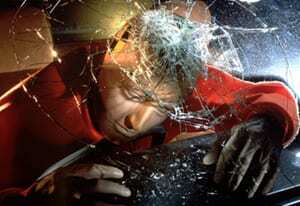 Kryger Glass is a leader in auto glass repair services and windshield repair. Your car will be in good hands and complete with a competitive price. If you're unsure about your auto glass repair for any reason you can always get an instant free quote to see how much your glass repair will cost. Kryger offers financing optionsif the cost is too much for your budget today. Our team in Omaha is ready to serve you for any of your glass needs. Check out our crew then give us a call to schedule an appointment! Two thumbs way up. Friendly, fast and just all around good store. My rear view mirror fell off my windshield and they replaced it without any hassle. Drove in and 15 minutes later drove out. Thank you Kryger Glass. When Randy comes to work, he works as hard as possible to ensure the customer’s safety. He will go above and beyond to locate any problems the customer’s vehicle may have, even ones that they may not be aware of, and fix them. When he is not at the shop, Randy enjoys fishing.